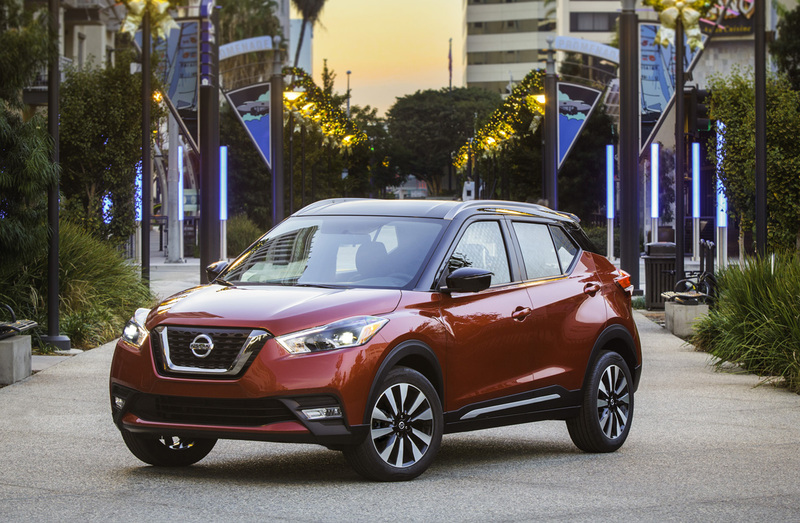 The 2018 Nissan Kicks has joined the hot and affordable compact crossover class with its debut at the LA Auto Show, replacing the quirky Juke and poised to compete against the many heavy hitters in the market. 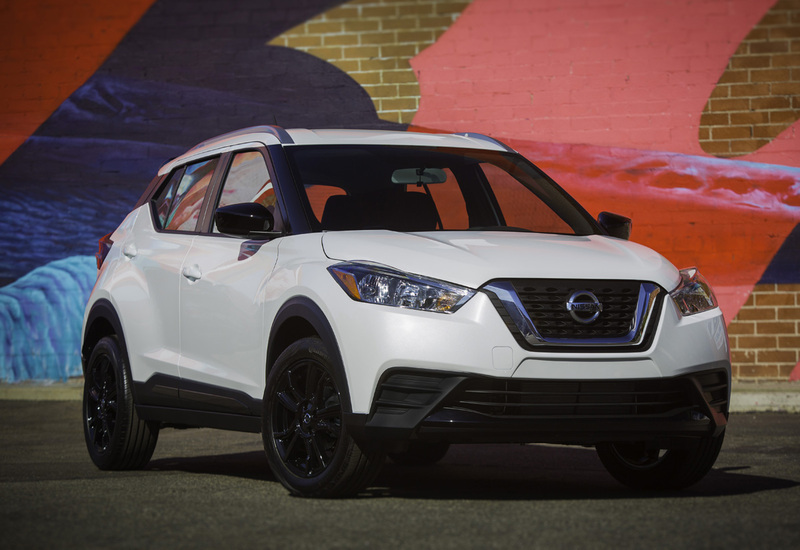 Going on sale this spring, the 2018 Nissan Kicks rolls into Nissan showrooms as their sixth crossover SUV, at the entry level of the lineup and replacing the Juke which has occupied this space since 2010. 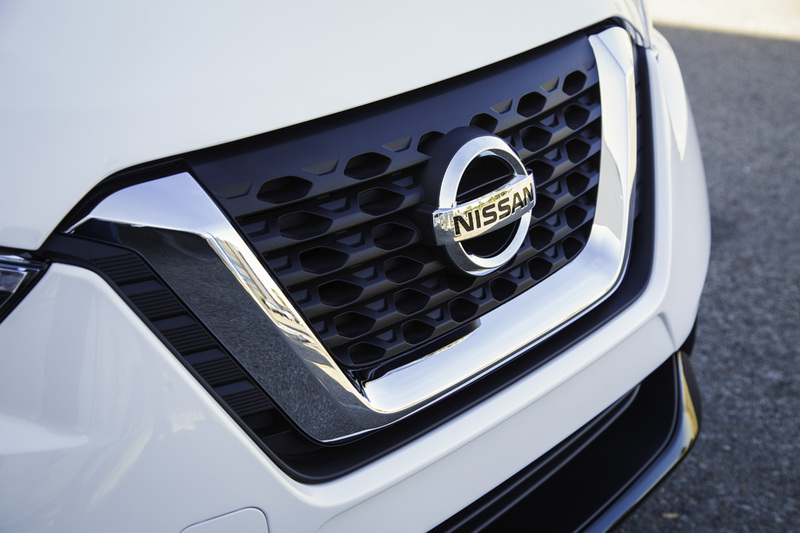 A vehicle already on sale on other continents, Nissan tells us that it will be aggressively priced as value choice in the market. 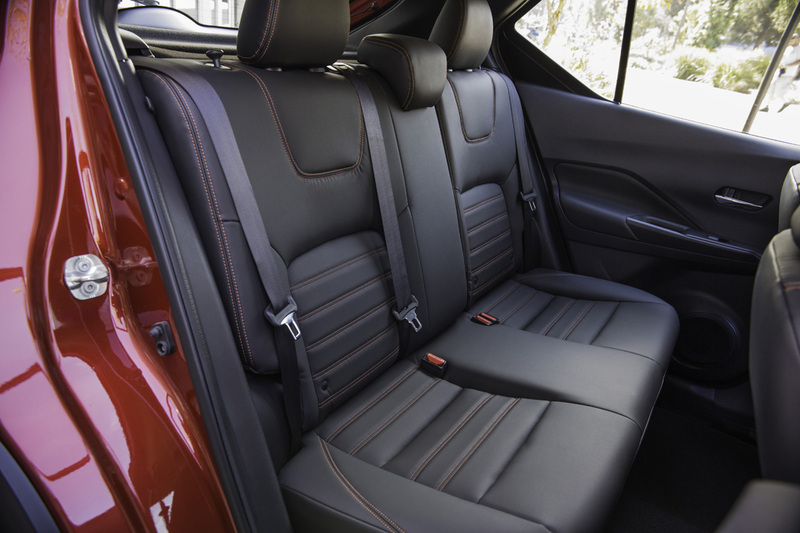 It’s indeed compact, riding on a 103-inch wheelbase, yet tall like a crossover SUV. 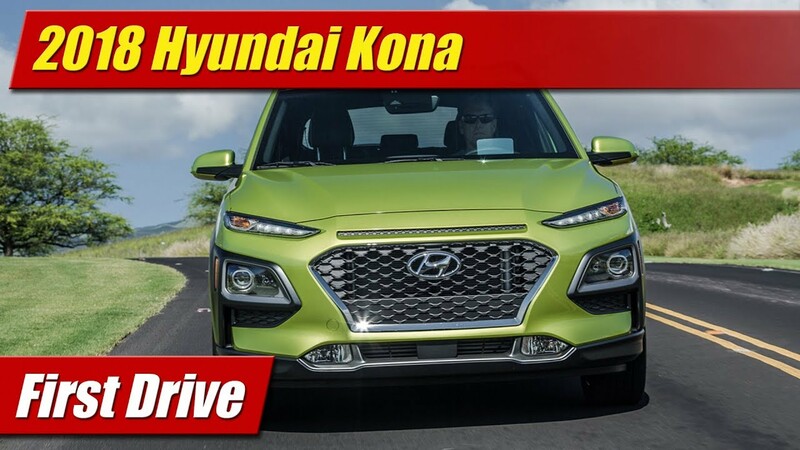 This puts it squarely in the cross-hairs of the new Hyundai Kona also unveiled at the LA Auto Show as well as others like the Ford EcoSport, Toyota C-HR, Honda HR-V, Hyundai Kona and Chevrolet TRAX. Styling is cute and pugnacious but not nearly as daring and quirky as the Nissan Juke it replaces. It has a more angular and straight lined approach than we’ve seen on other Nissans but retaining family DNA like the V-Motion grille, boomerang headlights and taillights and the floating roof theme. 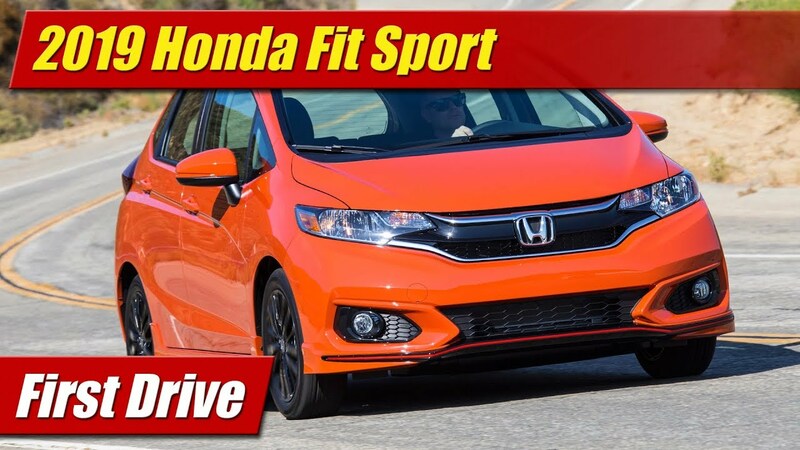 It rides high like and SUV but really shouldn’t be considered one, much as its competitors. It comes only with front-wheel drive and has a 7-inch ground clearance which Nissan says in their press materials is good for city experiences like deep pot holes and speed bumps. That induces a laugh or a chuckle but in some cities there is credence to that. 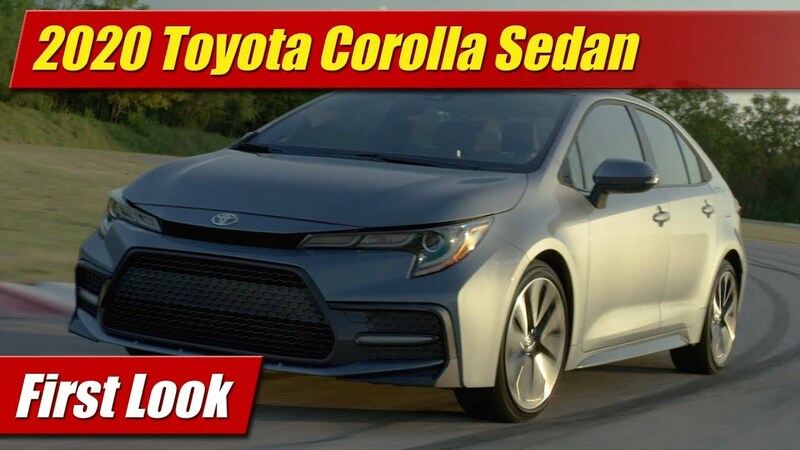 And aimed at city slickers the Kicks is, urban youth who want something more than a basic entry level car – something with room and some level of extra capability bot not necessarily with high-performance driver enthusiast leanings. 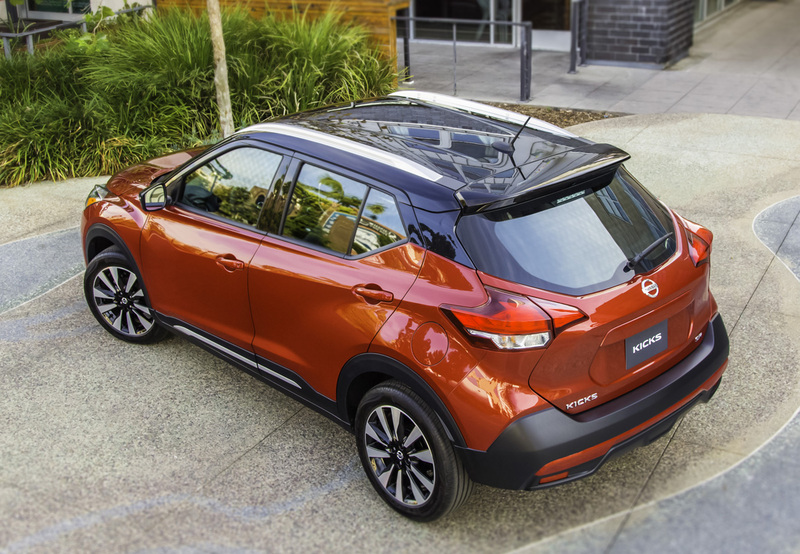 Thus, powering the Nissan Kicks is a rather mundane collection of moving parts, a 1.6 liter four-cylinder engine with 125 horsepower and Nissan’s venerable Xtronic continuously variable transmission (CVT). As such Nissan tells us it will achieve up to 33 mpg combined. Chassis bits too are nothing to compare to a Volkswagen Golf. Here we have a strut front suspension, a twit-beam rear axle, front disc and rear drum brakes. Wheels start with 16-inch steelies and range up to 17-inch alloys on the upper of its three trim grades. 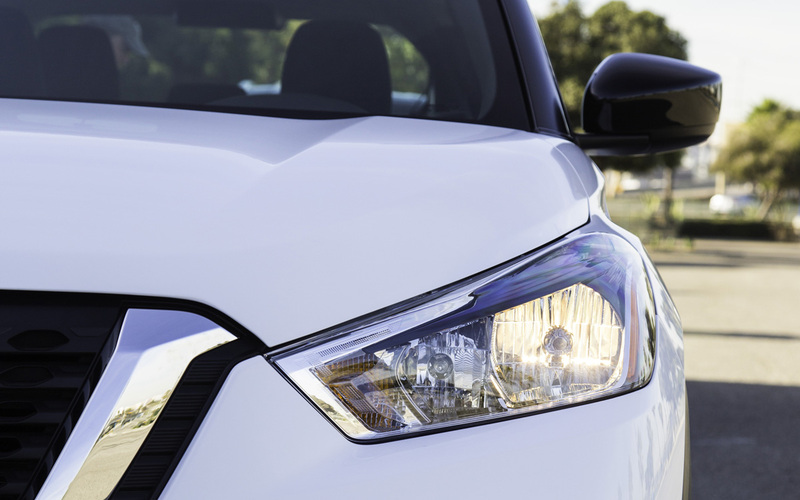 Style is where Nissan is getting the Kicks. 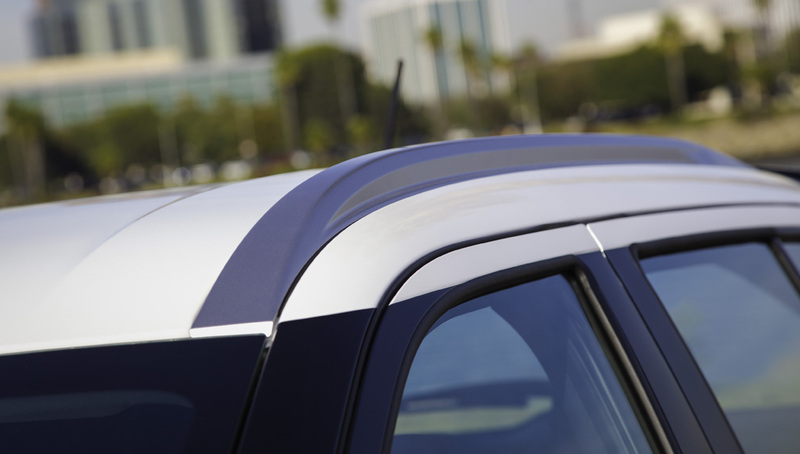 It will be offered with optional two-tone color combinations and a variety of wheel choices. 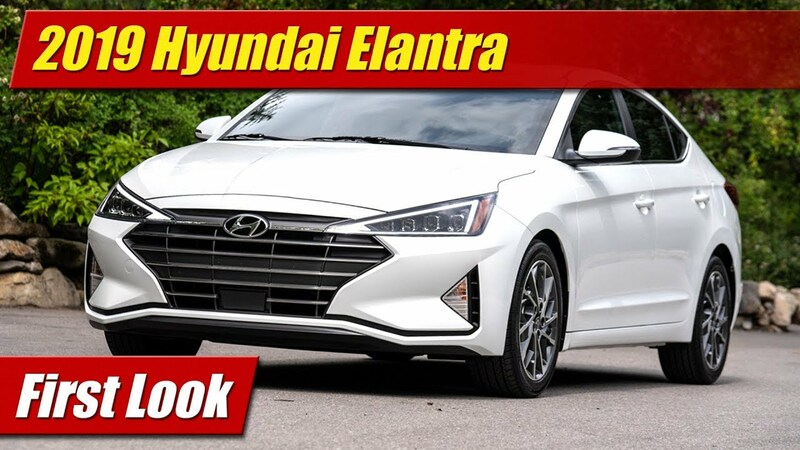 The cabin has been upgraded from its more basic counterparts sold in other countries to offer up more quality trim and material content and upmarket style as well. 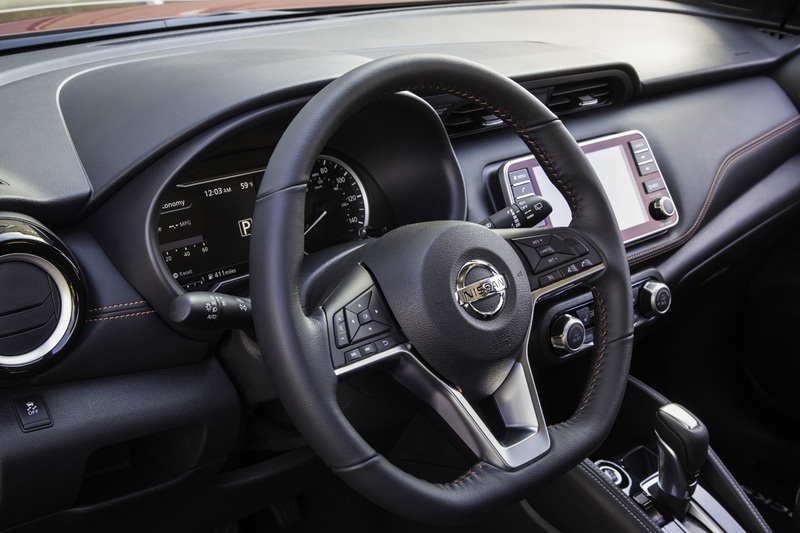 For us Yanks, center stage is an available 7.0-inch touchscreen infotainment system available with Apple CarPlay and Android Auto, something Nissan is finally getting into. 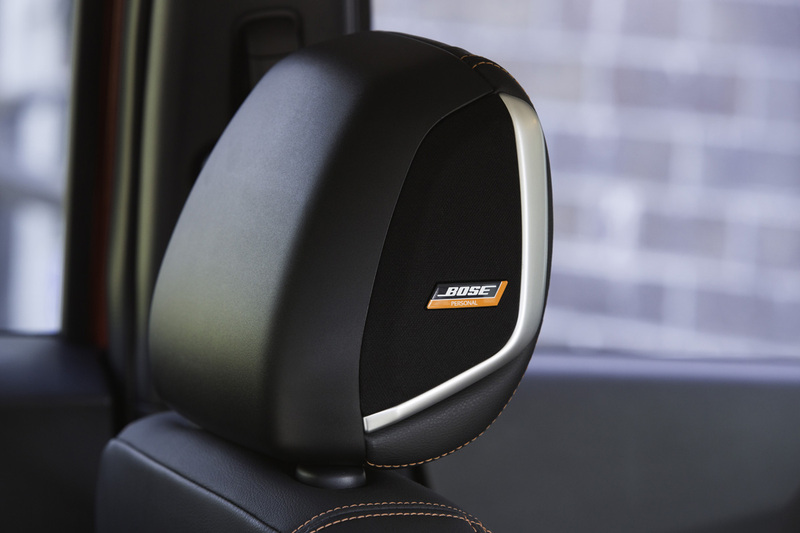 You can also option up more with a higher end Bose system that features a lot more zoot than you might expect in this class. Other niceties like the 360-degree Around View Monitor also available. 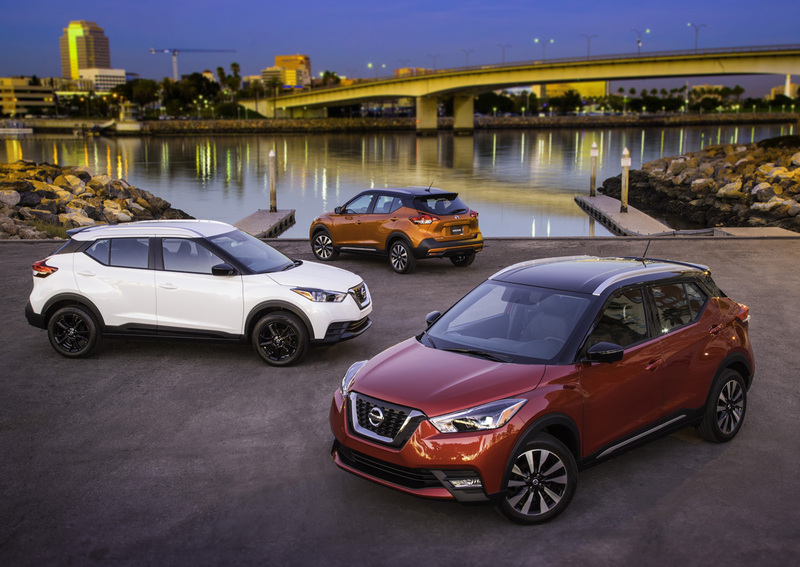 Pricing for the 2018 Nissan Kicks will be announced closer to launch, expected to be June of 2018.